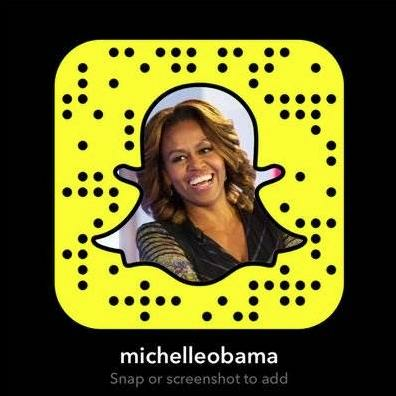 Is the world ready for FLOTUS on Snap? 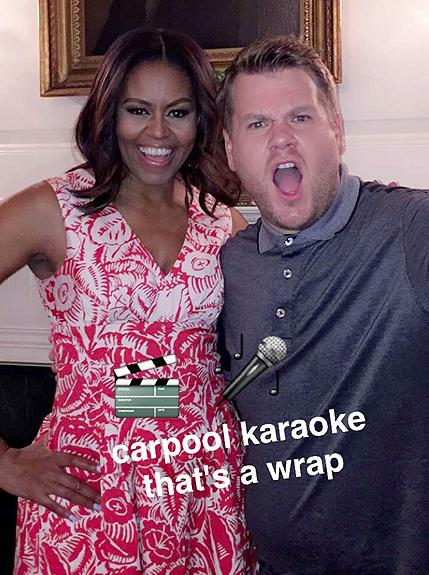 First Lady Of The US Michelle Obama has officially joined Snapchat and has hinted at the biggest Carpool Karake yet. Obama, who already has 4.6 million Twitter followers and five million fans on Instagram, plans to use her new Snapchat to promote her upcoming trips overseas as part of her ‘Let Girls Learn’ initiative. Michelle Obama's snapchat handle is "michelleobama"
According to the White House, she will travel to Liberia, Morocco and Spain to promote her campaign, aimed at giving more than 62 million girls the opportunity to learn and be educated just like boys. Joining Obama on her epic trip will be her daughters Sasha and Malia, her mother, actress Meryl Streep and ‘Slumdog Millionaire’ star Frieda Pinto. Meanwhile, Obama also teased an upcoming 'Carpool Karaoke' appearance alongside James Corden. Unfortunately she didn’t snap any footage from the episode however the funny skit is expected to be released soon. In the past, Michelle Obama has collaborated with Missy Elliott, Janelle Monaé, Kelly Clarkson, Kelly Rowland and more on a song called ‘This Is For My Girls’ – dedicated to her Let Girls Learn initiative.